Kelly WeberRealtor-AssociateSRES, ABRThe Weber Group - Keller Williams Valley RealtyOradell New Jersey(201) 281-5594Kelly Weber and her team The Weber Group - Keller Williams Valley Realty in Oradell, NJ is built on a strong foundation of experience, ethics, and ultimate customer service. 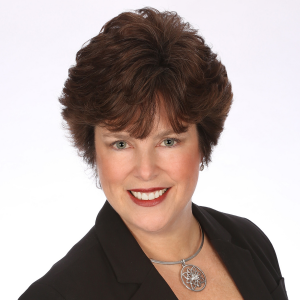 Kelly has immense experience and expertise in Real Estate and has been practicing for 15 years. Her negotiating skills, unique social media and online marketing plans, and extraordinary customer service sets her team apart from other agents/teams in the business. The information contained, and the opinions expressed, in this article are not intended to be construed as investment advice. Kelly Weber and Keeping Current Matters, Inc. do not guarantee or warrant the accuracy or completeness of the information or opinions contained herein. Nothing herein should be construed as investment advice. You should always conduct your own research and due diligence and obtain professional advice before making any investment decision. Kelly Weber and Keeping Current Matters, Inc. will not be liable for any loss or damage caused by your reliance on the information or opinions contained herein.